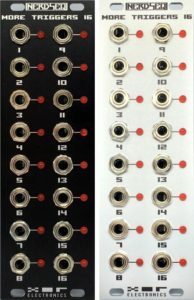 The Trigger16 Expander is scheduled for the week of 8th April 2019. Stay tuned for an introduction Video, so you know what to expect and how it’s integrated in the NerdSEQ workflow. Around black friday bundle SALE Massive NerdSEQ update!